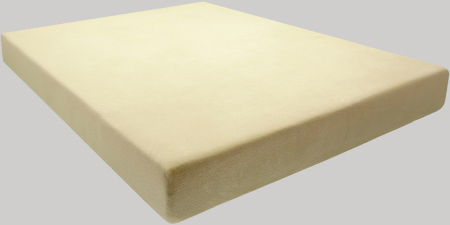 A foam mattress is probably the most versatile and comfortable option for upgrading an old bed or preparing a new one. For starters, there are many advantages to foam over traditional mattress stuffing. Feathers and down require a lot of maintenance. Not only do you have to fluff them back up frequently, but you also have to have them re-stuffed fairly often, which can quickly get expensive. Mattress foam, on the other hand, is long-lasting and retains its shape on its own for the duration of its lifespan. Different kinds of densities and levels of softness mean you can comfortably flop down on one without having to worry about taking the time to beat them into being comfortable. Another reason you should consider a mattress replacement if you have a down or feather mattress is that these old-fashioned organic materials are breeding grounds for bacteria and allergens. People with sensitive allergic conditions or weak immune systems are much more likely to get sick if they sleep on these kinds of mattresses, and even if you don’t have allergies, constant exposure to accumulated dirt and dust can increase your chance of developing an allergy. Looking online, you can order a new mattress, in a wide variety of foam types and densities, and you can even combine different layers to get just the right mattress firmness or softness you need for a good night’s sleep. Even if you’re not ready to throw out your traditional mattress, a foam topper is an easy way to renew an old bed. Bio: The Foam Factory, Inc. is the Web’s one-stop shop for all things foam, including mattresses and seat cushions, custom cut to your specifications.